This page is simply to display what YOUR thoughts are for a change. I've always wanted to create a comments page, but I could never figure out how. So, this is the next best thing! What I do here is post comments that you guys send to me that you don't mind being shared. Since I'm so nice and awesome and a goody-goody :P, I don't post anything that someone else (including you) wouldn't want to see. So, feel free to send. Keep 'em coming! Haley, I love this site! At first I stumbled on this page by accident, but I saw the Sailor Venus icon at the top and decided to look around. I looked at the Gallery and was like "This is EPIC!" In short, thanks! I found this page looking up The Beatles and it showed your About Me page. I started out checking up on this site for stuff about The Beatles, but I kept getting distracted by all the other stuff on the website. So, thanks for loving The Beatles, I guess! My friends won't shut up about how much I talk about the pictures on your site. I think it's funny! By the way, what is a "sesquipedalian?" ~~~~A sesquipedalian is a really long word for...a really long word. (seriously, the definition is 'really long word'!) That word used to be on my about me, but I updated it recently. The way this website is set up is really at an advanced level. I've seen a lot of highly-commended Weebly blogs, but a lot of them don't even seem to compare (and we're talking about websites made by adults). Keep up the good work. Just keep going with your fresh ideas and you're set! I sent an email to you for your birthday special thing because, well, it was my birthday the day before! I got a picture of Rini and she's my favorite so I decided to keep coming to the website. It rocks! The thing I like best about the HQ is all the big words you put on it! I use them all the time now and my friends are like "Shut up, Krystal!." Lol. I really love SMHQ, but I really wish you could have some kind of translation into other languages. My native language is German (and I'm sure it'll be a while before you can get together a GERMAN site) but I'd at least like a dictionary or something. Hi! I used to love Sailor Moon when I was little and I found a Youtube account that has all the episodes. 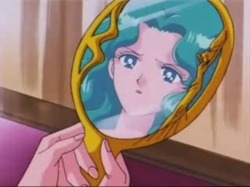 I've been watching them and have fallen in love with the series again and my suggestion for your website is to put up a petition for getting Sailor Moon back on the air so we could all sign it. Then maybe we could see some new episodes. This website is really informative. It's very convenient to have info about the characters, the episodes AND all those pictures in the same site! Keep up the good work! I love the site, but I have some complaints. I (and my friends) really wish you would update more because I like your site and I study websites a lot. What I have seen is that your user frequency declines the less you update. I don't want what happened to Yuyu Hakusho HQ to happen to this site, too! Also, you seem to update the same spots a lot and forget or neglect to update other spots (Character Profiles and About Me mostly) Other than that keep it up! Thank you thank you thank you! I LOOOOOOOVE Sailor Moon! I really miss the show, and this website brings back so many memories of when I was a little kid. It's got an awesome balance of girly-girlyness and action. Thanks girl! Well...what more can I say? It rocks! It's got the whole deal packaged into one great website. I've seen a lot of neglected, insufficient blogs about Sailor Moon (and almost all other topics, too) but it's very egregious that you work really hard with this! P.S. I learned the word egregious from you! I really love the layout of this site. The structure of it is very well put together. I really didn't know this show until I saw the website, but because of the really neat format, I thought I'd give it a try. To put it short: Fan for life; for SMHQ and Sailor Moon! I love your web page, girlfriend! I don't know if it's a money issue or whatever, but you've GOTTA get your own domain, girlfriend. You'll get so many more hits if you have your own address. I wish I could help you get the domain together (since I run like, three domain-websites on Weebly) but I live in Montana and you live in Texas! That wouldn't work, obviously. Just keep it up, girlfriend! I really like how you're running the site, but with one big exception: I really, really REALLY wish you would use the Japanese versions for your different articles. There are not near as many episodes in English but there's over 200 in Japanese. It may be too late to suggest this, but just know I'm not the only one who thinks you should do that. Thanks! ~~~~Sorry but, you're right, it's too late for that. I tried to neutralize it at one point, but that soon grew impossible. Honestly I wish I did, too, it's just easier to use English for me. Your website is very well put together. I really enjoy all the resources it supplies. It's very convenient versus prying through plenty of other websites to look for one thing. Thanks for everything! Thanks for your suggestion about hit counters on Weebly. Very helpful. Sorry, never heard of Sailor Moon until today, your site is very well presented, well done. I love how active you try to be with this website. It's really hard to manage an entire multiple-element web page by yourself and still update frequently. Thank you for all your effort! I love everything you've been doing! It's hard to believe you are able to juggle this by yourself with homework and all of that to take care of. I'm in band, too so I know exactly what it's like to have to balance these type of things. It's good to see you've found a great passion in doing this. You've got a lot of people out there at the edge of their seats waiting to see what you're going to bring next. Keep it up!